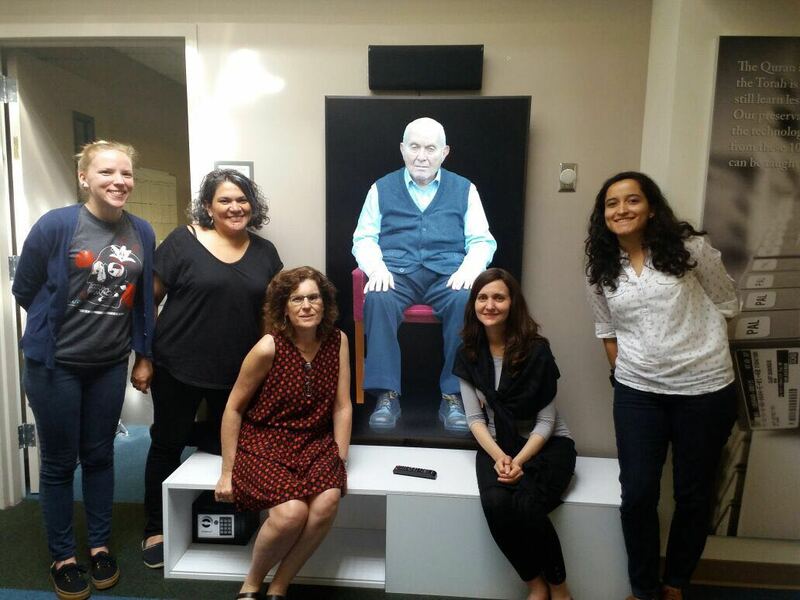 Staff from Fundación de Antropología Forense de Guatemala (FAFG), Museo Interactivo Judío de Chile (Interactive Jewish Museum of Chile) and Instituto Internacional de Aprendizaje para la Reconciliación Social (International Institute of Learning for Social Reconciliation) spent three days at USC Shoah Foundation in Los Angeles last week to begin building new testimony-based education resources for use in their respective countries. 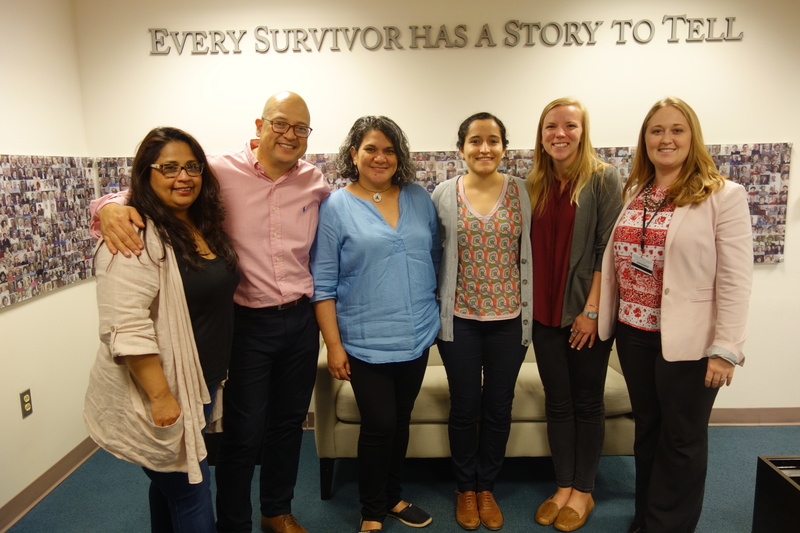 While USC Shoah Foundation has already partnered with FAFG to record, preserve and provide access to testimonies of Guatemalan Genocide survivors and MIJ to provide access to Holocaust survivor testimonies through the Visual History Archive, the new partnerships focus on education – specifically working together to build activities and other content in IWitness that reflect the needs of local educators and each institution’s own methodology. 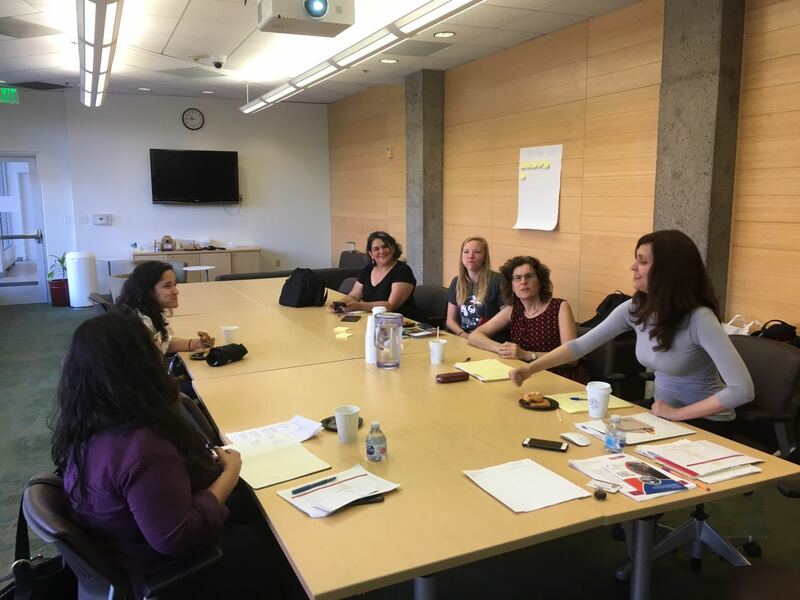 From Oct. 24-26 at the USC Shoah Foundation office in Los Angeles, education staff guided the attendees through methodologies of building testimony-based educational content in IWitness and discussed plans and expectations for each institution moving forward. 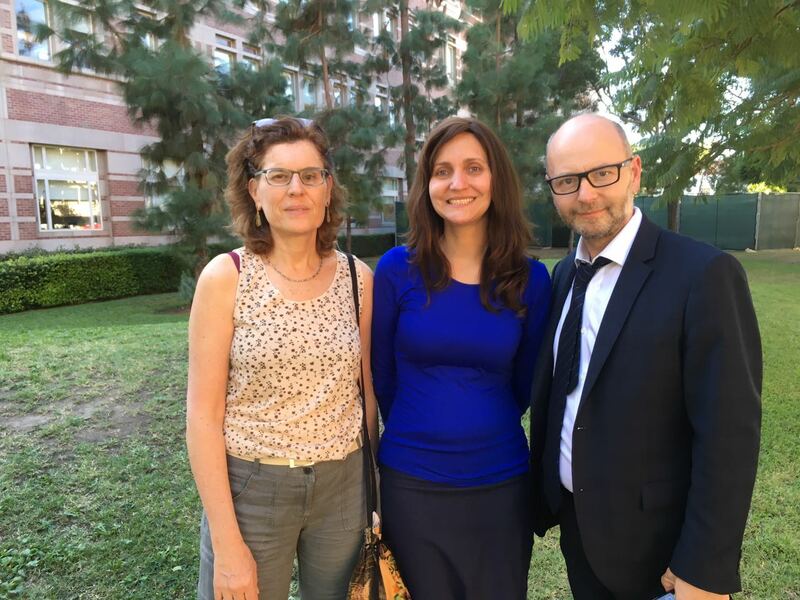 FAFG director Fredy Peccerelli, technical sustainability assistant Erica Henderson and Visual History Archive coordinator Lucia Samayoa attended the meeting at USC Shoah Foundation with Vivian Salazar Monzón, executive director of Instituto Internacional de Aprendizaje para la Reconciliación Social (IIARS). 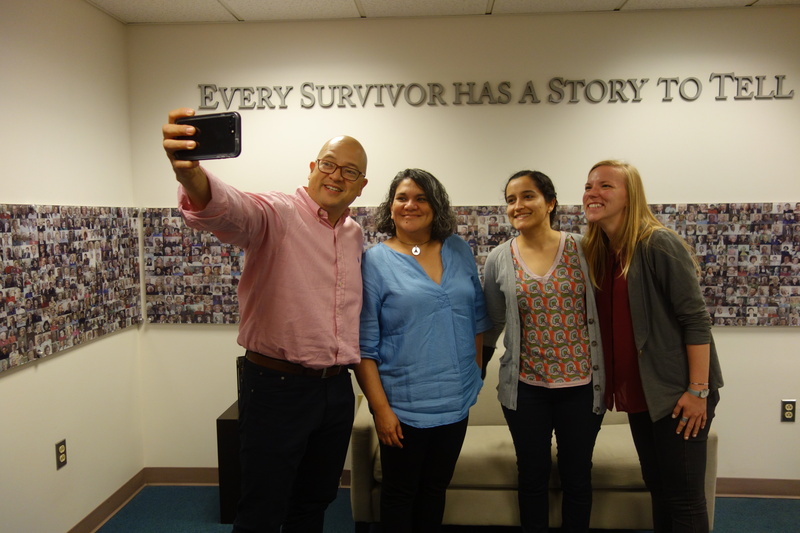 The team will translate existing IWitness activities and parts of the IWitness website into Spanish and also write new activities that incorporate testimonies of Guatemalan Genocide survivors, which FAFG began filming in 2015 in partnership with USC Shoah Foundation. Salazar said the goal of IIARS is to use formal education to help Guatemalan students understand the society they live in, empower educators to teach about difficult topics, and influence public policies in education. “We’re trying to join forces with other civil society organizations that are like-minded to help us influence those state policies, with the understanding that as citizens we have rights, [including] the right to choose how we’re educated,” she said. 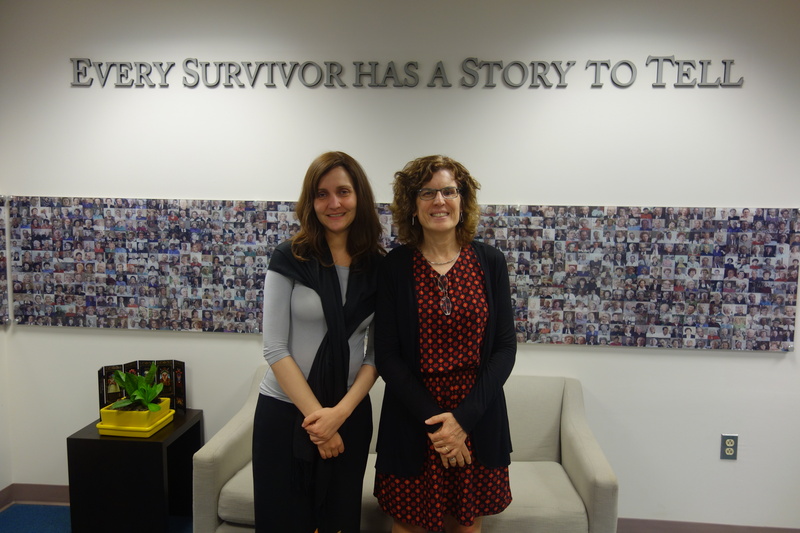 Three years after FAFG first joined forces with USC Shoah Foundation, Peccerelli said the partnership between the two organizations is only growing stronger. The Interactive Jewish Museum of Chile hosts a robust education program for thousands of students who visit the museum each year. Guided in part by the 82 Visual History Archive testimonies of Holocaust survivors who settled in Chile, students learn about Jewish history and the Holocaust. Deby Roitman, who designs the museum’s educational resources, and Michelle Reich, director of extension and development, said their goal is to develop new Spanish language activities and other resources in IWitness that align with the Chilean curriculum and can be used inside and outside the museum. They also want to translate existing IWitness activities into Spanish so Chilean teachers can use them. Like FAFG, they want the materials to cover a wide range of subjects, including Jewish history, human rights, and indifference. The meeting at USC Shoah Foundation was eye-opening, they said. Guided by the Institute’s education staff, they expanded their knowledge of IWitness and its features. Over the next two years, USC Shoah Foundation, IIARS, FAFG and MIJ will work on writing the new activities and building out the IWitness website with new Spanish language or country-specific portals so educators and students can easily navigate the site to find the new content.